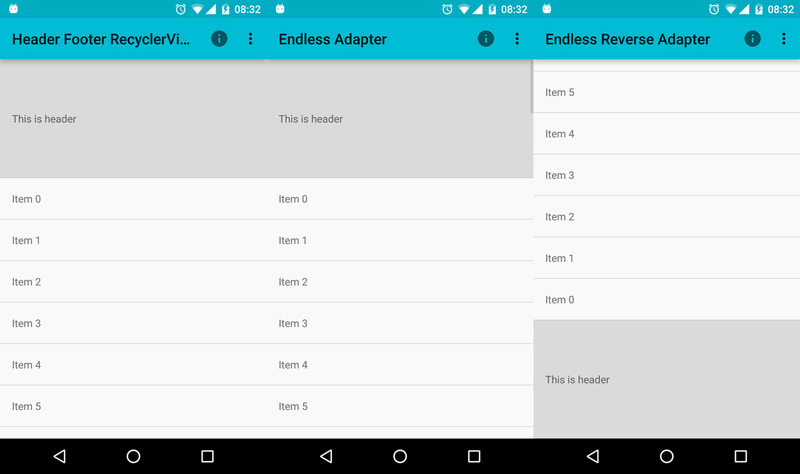 MultiState, section, endless recyclerView are made easily by this wrapper adapter. recyclerview-multistate-section-endless-adapter is deployed to jCenter. Make sure you have jcenter() in your project gradle. // This method is called async. Please make sure it is still added to Activity if you use fragment. // Remeber to call onNext. It will fetch next page. Please checkout sample section. I have a lot more example there.